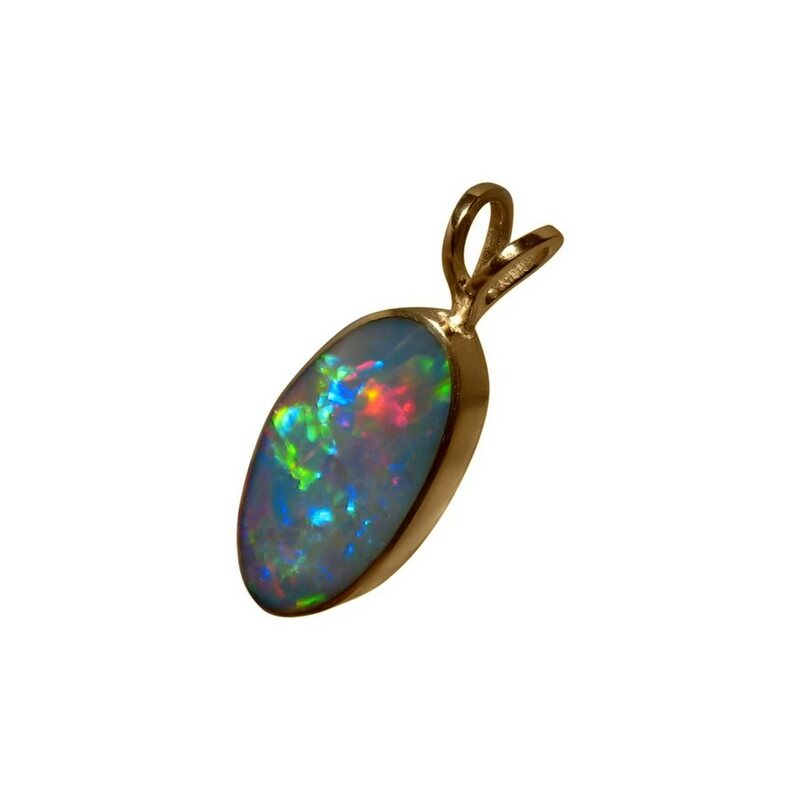 A beautiful Opal pendant with a long oval Semi Black Opal displaying lively Red and Blue set in 14k Gold. 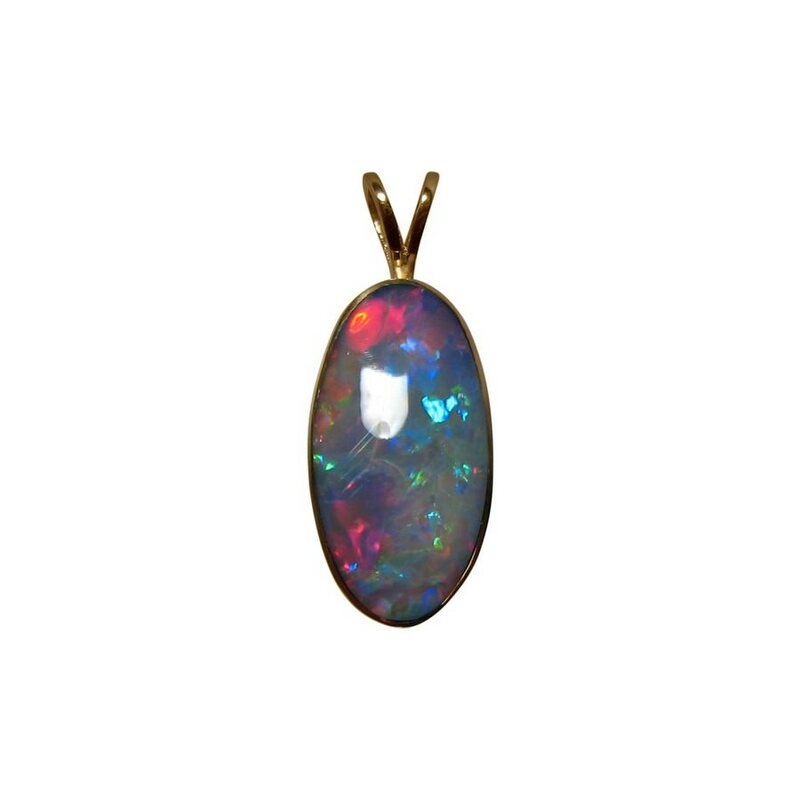 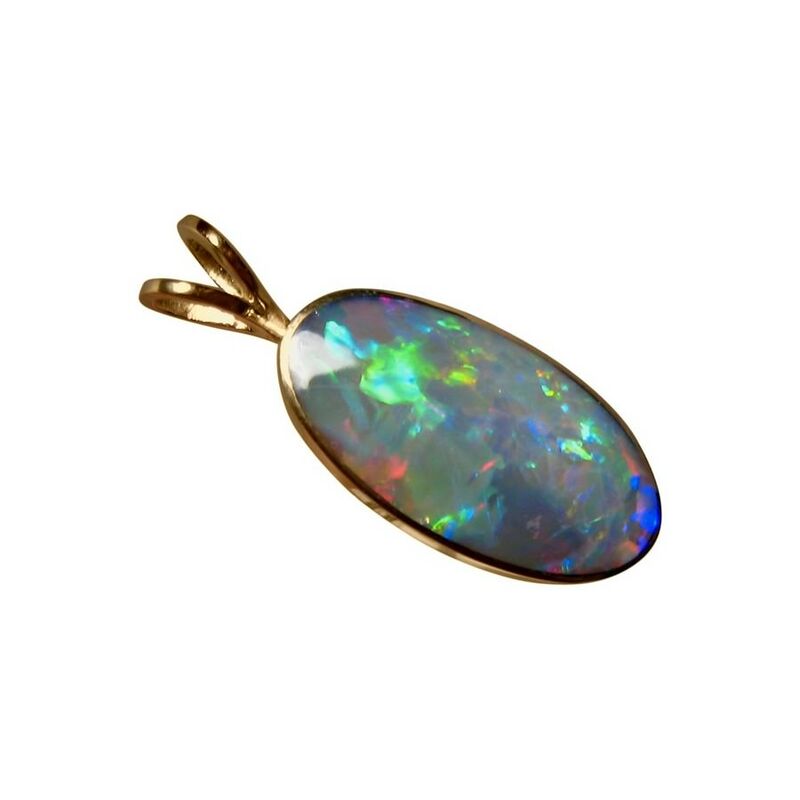 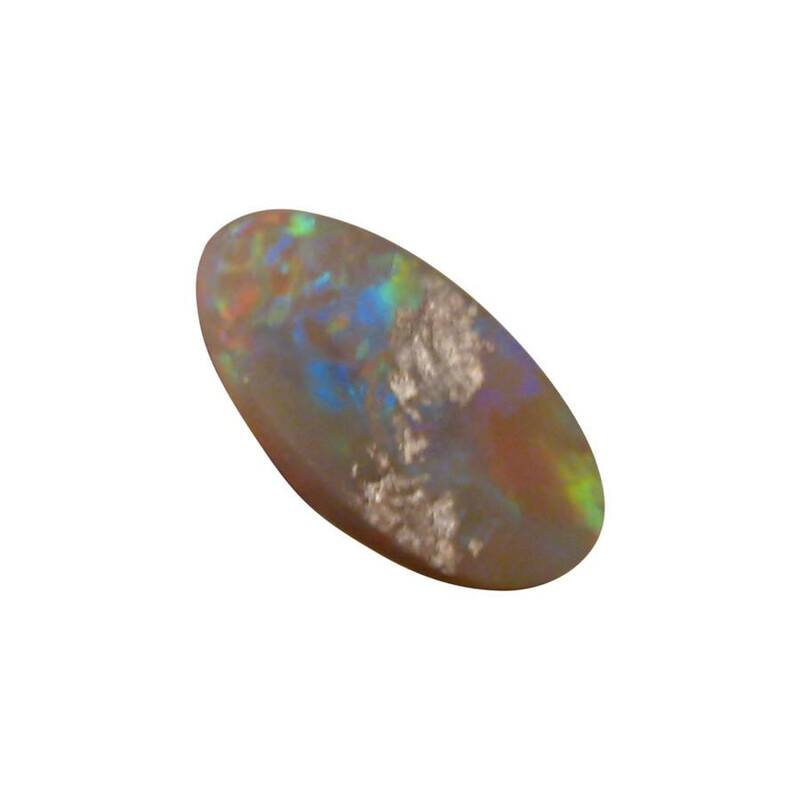 This quality Opal pendant has a fabulous color play with bright Red and Blue and you will see this in the video below along with the high shine of 14k Gold. 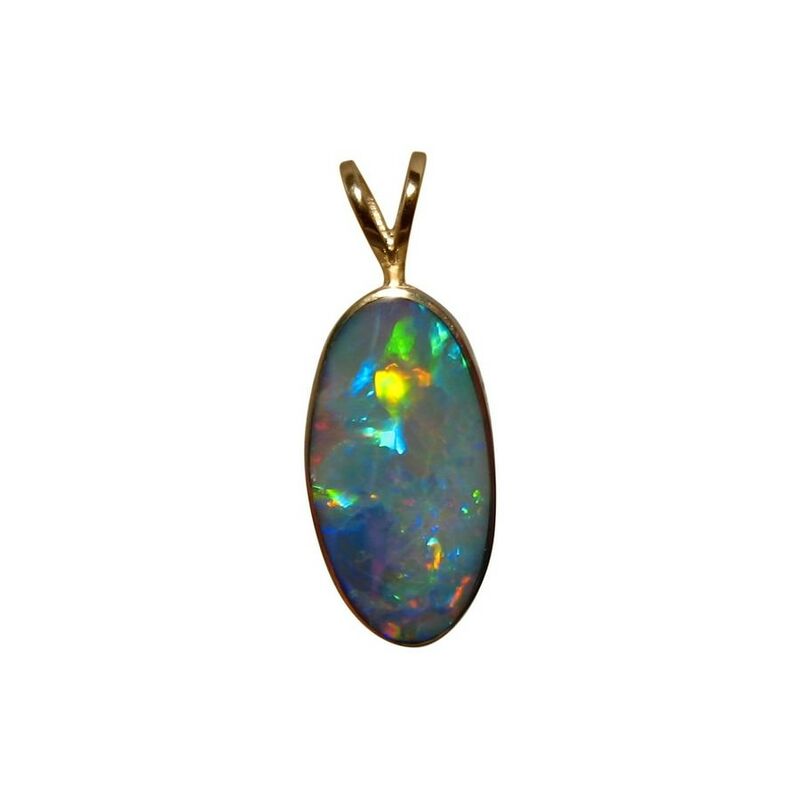 The Lightning Ridge Semi Black Opal weighs 6 carats, is cut to a long oval and is inlaid in a custom made to fit 14k Yellow Gold pendant. 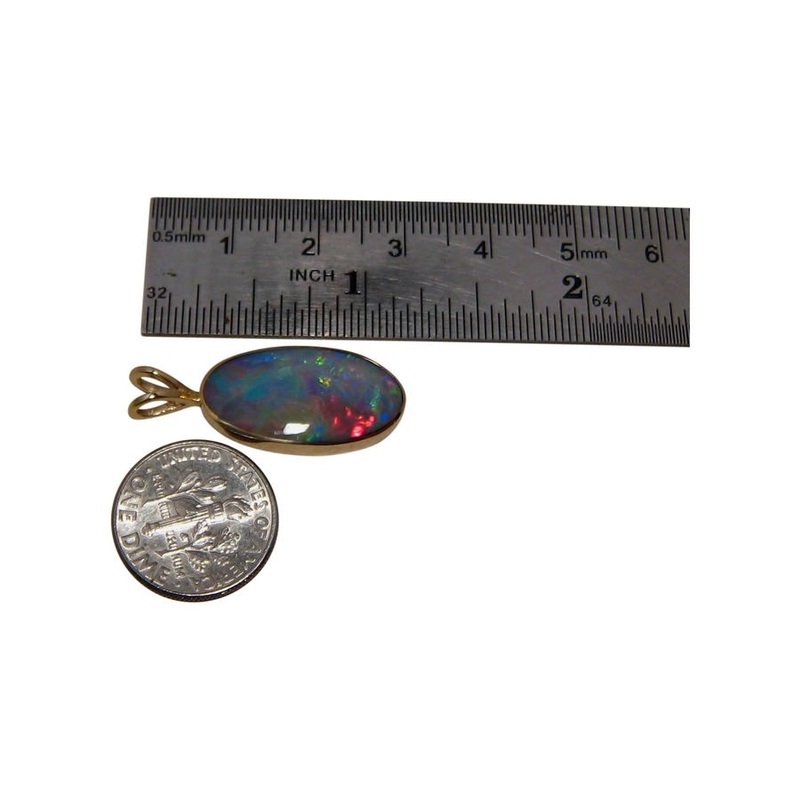 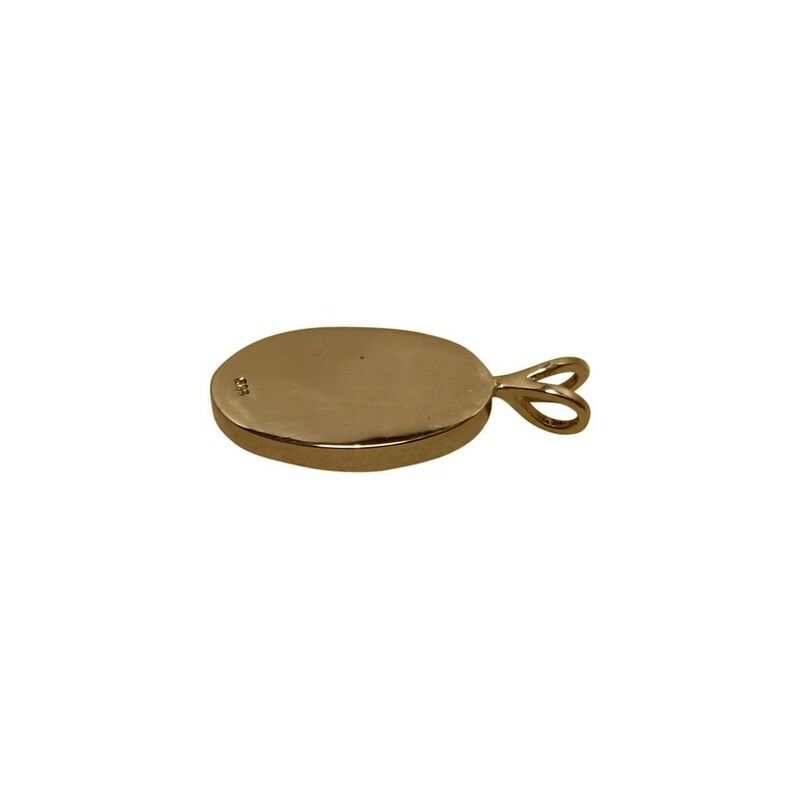 The pendant measures almost 1 ¼ inches long by almost ½ wide with a Gold weight of just under 3 grams so it will be noticed and admired when worn. 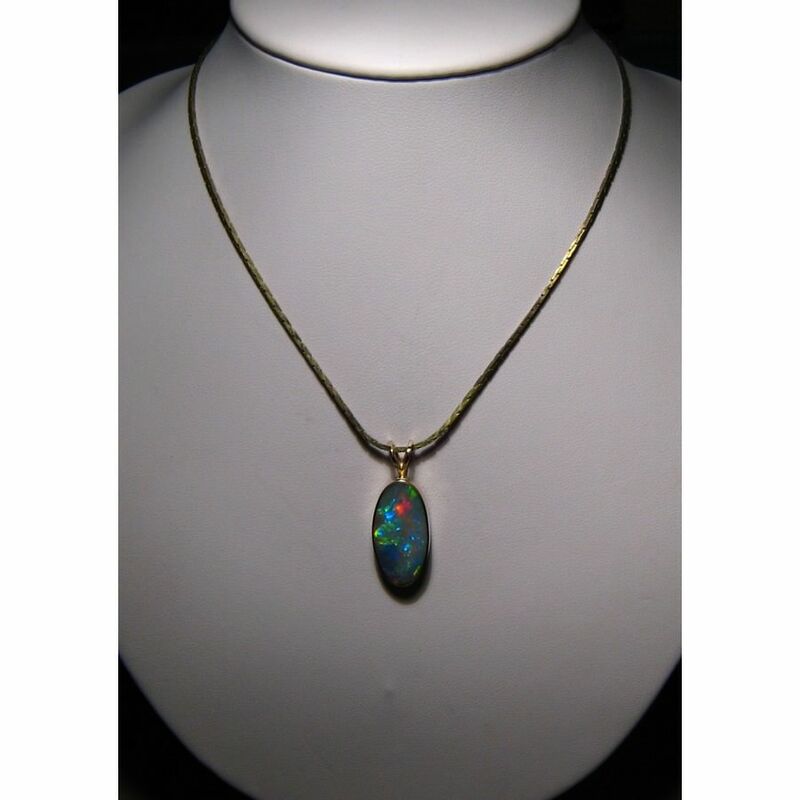 A beautiful natural Semi Black Opal pendant that is ready to ship now but does not include the chain.